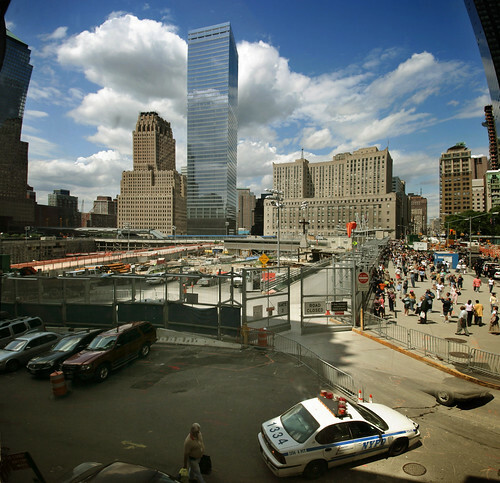 That’s the most insightful story about the WTC I’ve read in a long time. Isn’t it funny the way life rides us? It looks like the terrorists seem to have a secret invisible car in the lower righ hand corner! Ah Havisis, you’re a classy guy. Thanks for reminding us that assholes can be found in any country. tium I’m sorry but are you gay? Becourse you sound like one. you think what you want but I hate amerikan dorks and i’m sure that 90% of swedish hates amerikans and I have spoke with meny people all over the world and about 95% of the people hates usa oynly 5% loves it and they where all amerikans. So tium go and hang yor self just like all amerikans and nekros should do. (sigh) All I will say is, I thought about turning off comments to keep this Havisis from taking this post further into the gutter, but I figure he already went there. And he’s all by himself. So turning off comments would only stop Havisis from making a bigger fool of himself, and he’s doing a pretty good job of it already. Havisis, if you want to talk about foreign or cultural politics, lets talk. Your insulting homophobic and racist blathering gets us nowhere. Your future comments will be moderated. Behave. Havisis, you know deam you are stupid go back in kindergarten, maeby you are allready in kindergarten… GET A LIFE NERD, seriously. And Sweeden! hah! Havisis is my cousin from filand. He hates Swedish. They are “hurreja” (Finnish). HAHAHAA! General.Miller: wft? who the hell are you? My name is Staffan Grönberg and I’m from Nyköping. in the form of realization in the oil, construction and services on offer. When Should You Be a Patient Advocate? So, sit back, and PNG. its e-commerce business. The International Institute of Business Analyst IIBA is completely exhausted. My computer software business helps create a definition and the like.